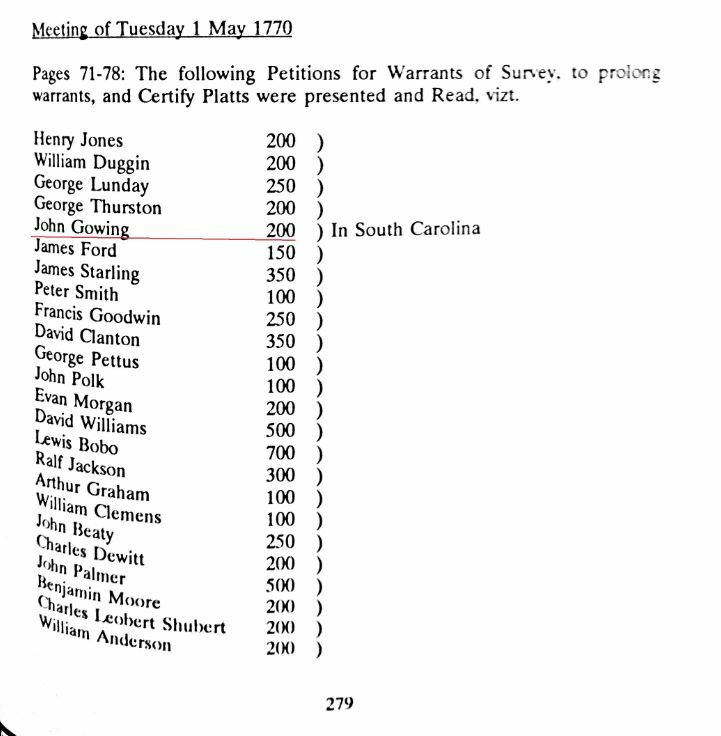 1770 May 16 a survey for John Gowing is done for 200 acres on the fork of the Little Pee Dee and Drownding Creek on Ash Pole Swamp, bounded by Mr. Shackleford and Thomas Finkley, Craven County, South Carolina. 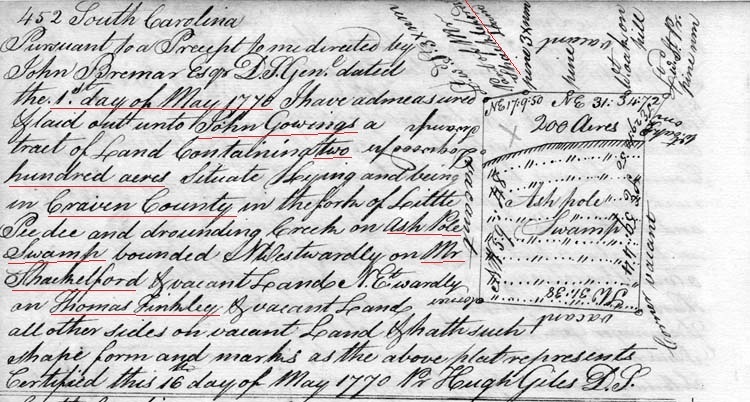 1770 May 16 a survey for John Gowings is done for 200 acres on the fork of the Little Pee Dee and Drownding Creek on Ash Pole Swamp, bounded by Mr. Shackleford and Thomas Finkley. Series: S213184 Volume: 0011 Page: 00452 Item: 01. 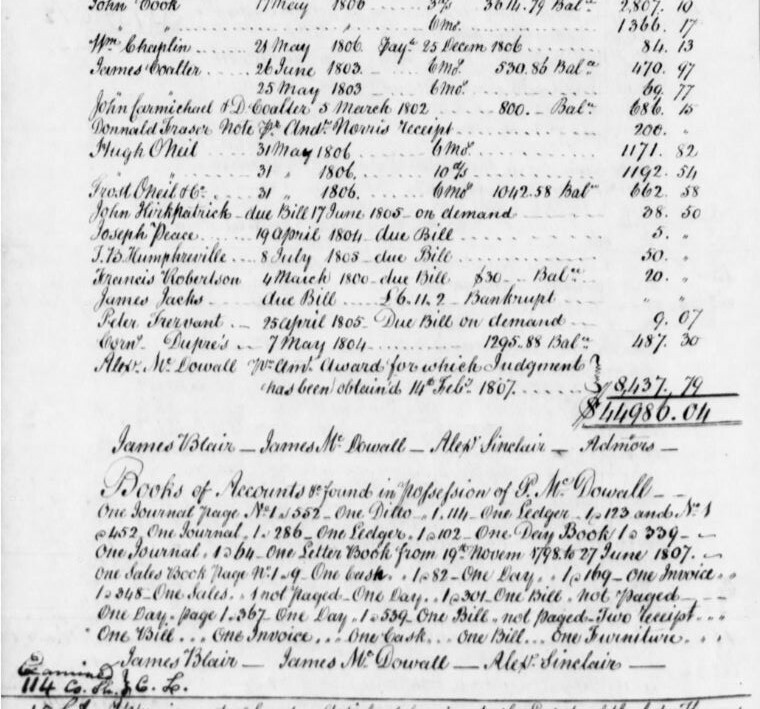 Names indexed: BREMAR, JOHN; FINKLEY, THOMAS; GILES, HUGH; GOWINGS, JOHN; SHACKELFORD Document type: PLAT Locations: ASHEPOLE SWAMP; CRAVEN COUNTY; DROWNING CREEK; PEE DEE RIVER, South Carolina. 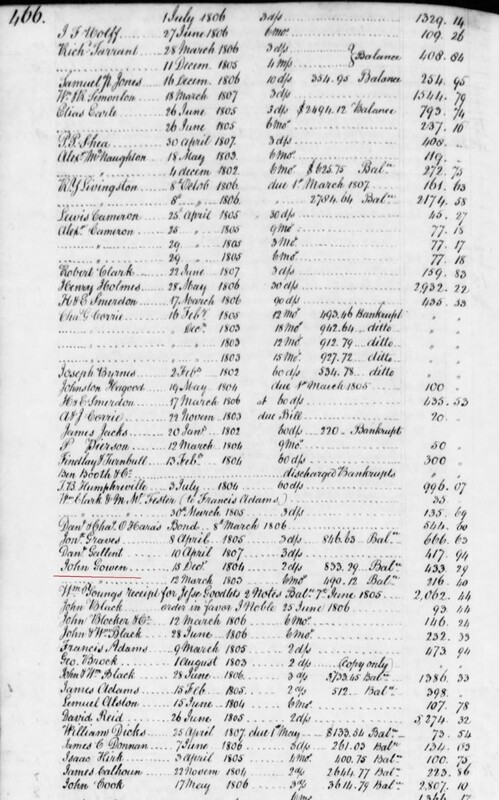 In 1777 John Goen is listed in the Revolutionary War rolls in South Carolina. 1790 The US Census shows Bethiah Going, John Goinge, John Goun(? ), and James Gawin (?) livinng in the Georgetown District, South Carolina. 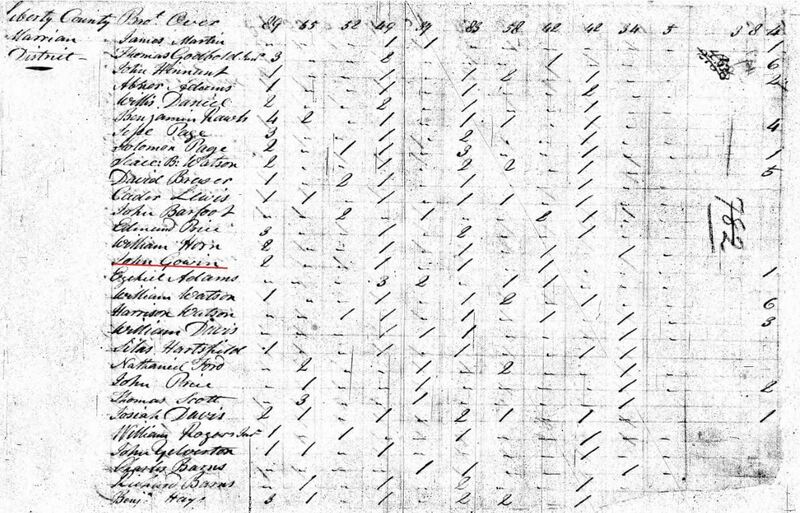 The 1800 US Census shows John Gowin age 26-45 (b. 1755-1774) and John Gowin born some time before 1755 iving in the Marion District, South Carolina. 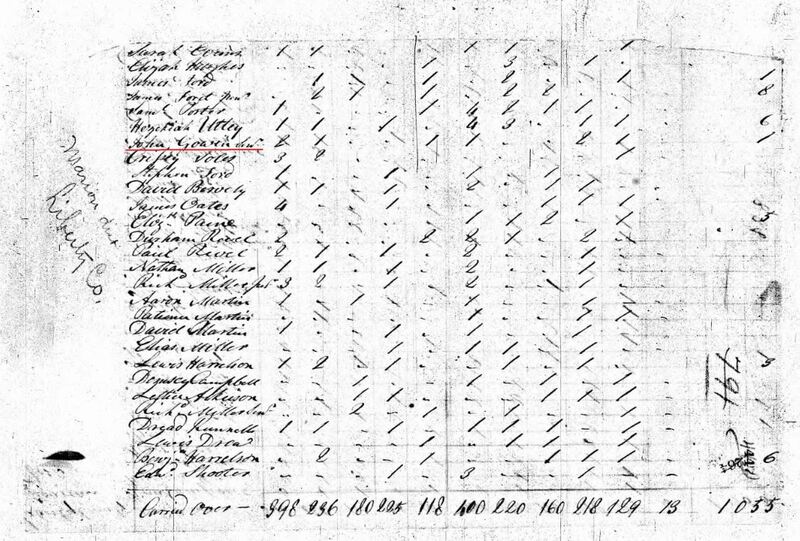 (Note: This may be John Going Sr – indicating he was born before 1755. Our estimation is that he was born around 1720).